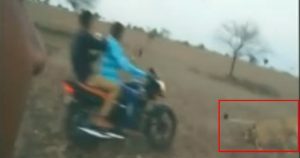 In a saddening video, a group of bikers can be seen chasing lions and cubs in Gujarat’s Gir sanctuary. The people on bikes can also be seen bullying the lions. The video which lasts less than a minute has left wildlife lovers and activists furious. 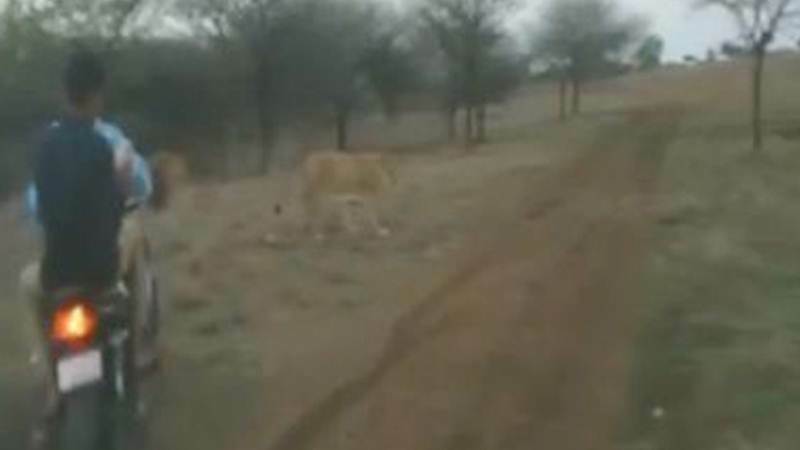 The video shows four men on two bikes chasing lions has gone viral on social media in no time. The incident exactly took place in Amreli area of Saurashtra region near the Gir Wildlife Sanctuary in Gujarat. Asiatic lions, different from African lions, with a characteristic fold of skin on their bellies and thinner manes on males, once roamed most of Asia. The 1,400 sq km sanctuary has around 400 lions. But relentless development, roads through the forest, expanding villages and illegal mining is forcing animal-human proximity. While the animals frequently wander into local villages, there have been reports of deliberate chase and cruelty. The license plate for one of the bikes can be seen. The lions are seen running worriedly to escape the intruders. Forest officials have begun an inquiry into the incident and four persons have reportedly been arrested. One biker, whose identity is yet to be disclosed, was arrested from near Rajkot earlier. The Gir sanctuary is the world’s only remaining natural habitat of popular Asiatic lions. 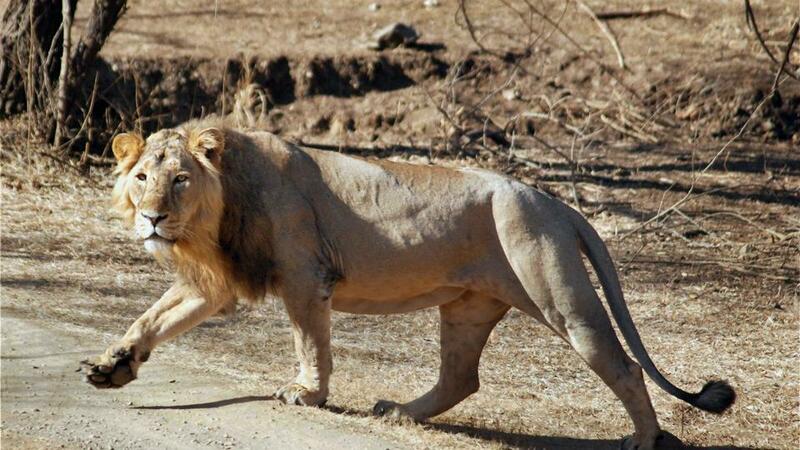 In June, a video had surfaced that showed a group of men in a car chasing a lion cub through the forest in Amreli district. In May last year, a four-year-old lion had accidentally fallen into a dry well in the same area. Also Watch: Mysterious Creepy-Crawly Creature Spotted In The House, Scary Video Going Viral!